A suspicious looking poster made it's way around the Googleverse recently, leading to a lot of speculation and conversation about whether or not we might see Marvel push a Nova film into theaters sooner than later. After the jump, I'll give some quick thoughts on the possibilities of such a film. There's the picture around which all the discussion has been centered. I found it thanks to my man @CaptainHulk3 who alerted me via Twitter. It's apparently been making the rounds at Reddit and Comic Book Movie. To get it out of the way, I have no clue if it's real and I have no context for the picture. I'm not going to say it means that we'll see the Human Rocket in screens come Summer 2016. Something like that picture is easy enough to create and there are a lot of people who are VERY talented with photo shop tools. I'm putting it out because it's interesting and I have a few thoughts that are connected to it. When Guardians of the Galaxy is released in August, it's going to act as the gateway through which Marvel can really aggressively expand the Cosmic corner of its cinematic universe. A Nova film is a natural part of that progression, at some point. Is that point the summer of 2016? It's really hard to say. We've heard rumors of a Guardians of the Galaxy sequel in 2016 and we've seen those rumors dispelled and replaced by a slate that involves Captain America 3, Doctor Strange and Thor 3 joining Ant-Man in the lead up to a third Avengers film. In all likelihood, there's on more film in that mix that we don't know about yet and there's one release date that hasn't been announced yet by Marvel. 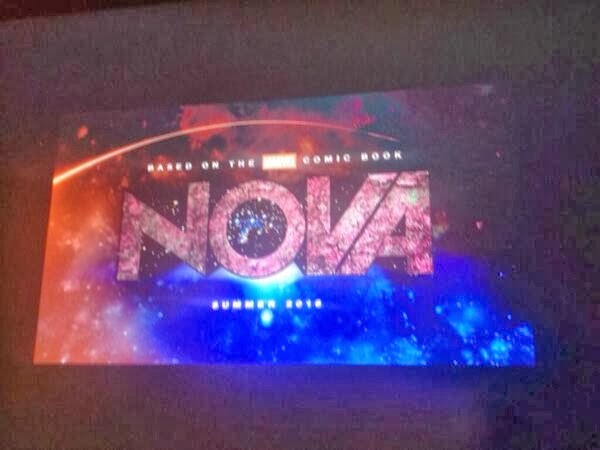 Could that film be a Nova film? Sure, why not? But it could also be the Black Panther or Inhumans, films we know Marvel has been actively developing for quite some time now (if I'm being honest, as cool as a Nova movie would be, I'd much rather see the Inhumans join the MCU first). Taking a quick look around, you won't find much news on Marvel developing a film vehicle for Nova, but you also have to take into consideration that heavy push my Marvel to get the idea of the Nova Corps into the mainstream. They relaunched the Nova comic with a teen and have inserted Nova into the Ultimate Spider-Man cartoon. They clearly want the casual fan to start becoming aware of Nova and eventually that's going to pay off in a film. Is that time going to be summer 2016? That's a really tough call. As of now we don't really know what 2 films Marvel is going to put in 2016, but it's likely that a third Captain America film is one of them for the reasons previously laid out here. One thing does make me curious, however. Not to the legitimacy of the poster, but to just how primed Marvel wants the movie going audience for a Nova film. The trailer for James Gunn's Guardians of the Galaxy featured the Nova Corps and made mention of their home base planet, Xandar. The Nova Corps is a vast pan-galactic police force with MANY members, any of whom could have been played by John C. Reilly. The thing that's interesting, and that I touched on back in August, is that they specifically chose to cast Reilly as Rhomann Dey instead of any of the hundreds of other Nova Corps members they could have chosen and I don't think it was coincidental; Marvel doesn't often do coincidences. It's Dey who escapes the destruction of his planet as the last Nova Centurion and eventually makes his way to Earth where he passes on the mantle of Nova to Richard Rider. 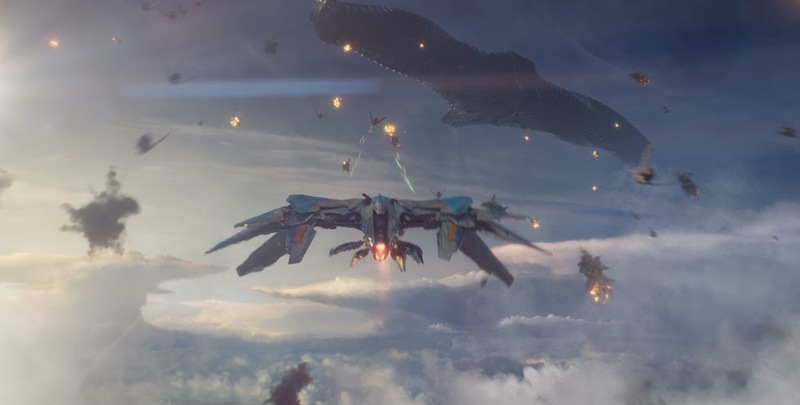 As I said in August, Xandar will come under attack, and we've seen that in the Guardians trailer as Ronan, Nebula and their forces attack the prison in which Star-Lord and the Guardians are being held. Is this invasion going to lead to the destruction of the Nova Corps? Couldn't say, but I wouldn't be surprised if Dey escapes the devastation and somehow ends of headed to Earth, maybe in a mid-credit or post-credit scene, and runs into Richard Rider. I'm not saying we'll see a Nova film in 2016 but I am guessing we'll see one sometime. Richard Rider is too big of a player in the grand scheme of things not to exist in an MCU that is expanding into the Cosmic. I don't believe Rhomann Dey was chosen haphazardly, not when it becomes increasingly apparent that the people running Marvel Studios have their collective poop in an impressive group. I'm guessing we don't see much of the Nova Corps survive Guardians of the Galaxy and the Xandarian Worldmind will need a host. A great way to tie Guardians of the Galaxy to the rest of the MCU films would be to have the rumored scene of Stark flying into space in response to Peter Quill's distress call combined with a scene in which a human becomes one of the most powerful beings in the Cosmos in your mid and post-credits scenes. As a fanboy of Marvel Cosmic, those two things would be a perfect topper to what promises to be an excellent film. So, I don't care if the poster is real...Nova is coming at some point, in some capacity, why not 2 years from now?